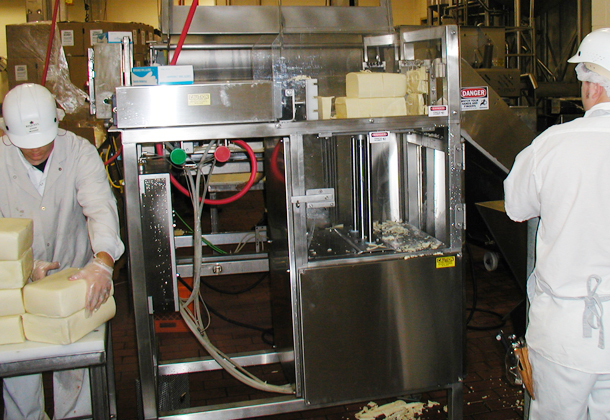 Processing cheese can be a big challenge if production lines don’t operate smoothly. 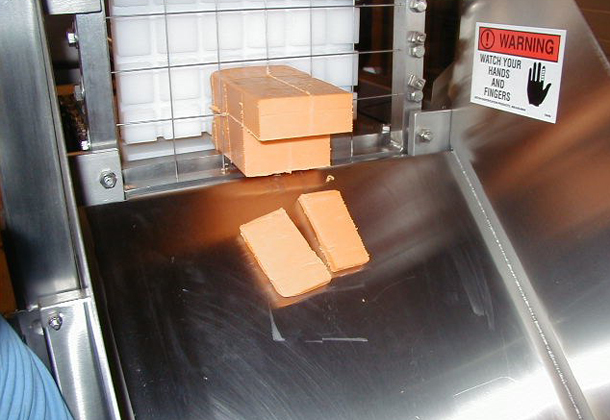 When your cheese cutter accommodates different sizes of cheese blocks, it’s much more efficient and easy to prep cheese for your customers. 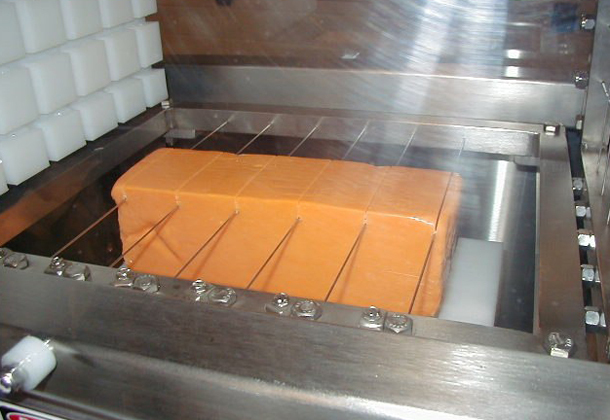 CMI’s cheese cutter is designed to cut blocks of cheese up to 11” by 14” by 7” into manageable chunks that are ready to package, shred, or slice. 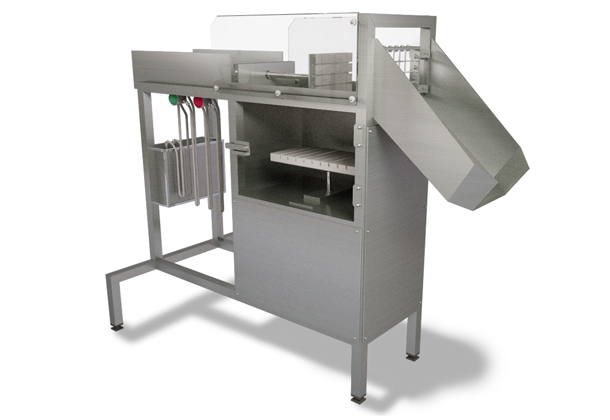 Our cutter is stainless steel and aluminum with operator safety features built in. The cylinders require 80 to 100 psi. The unit has full washdown capability. 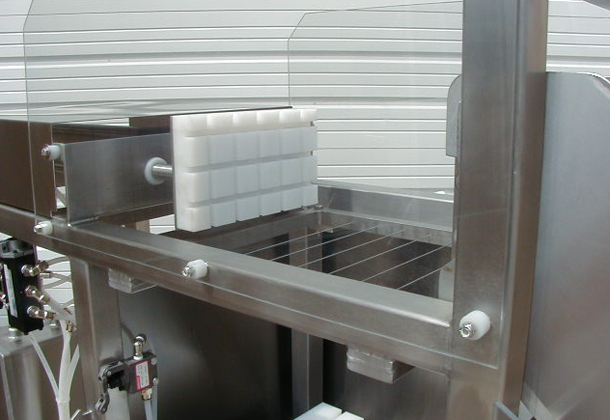 The oil/ air cylinder system delivers quiet, dependable movement. Contact CMI for information on design options on our cutter. 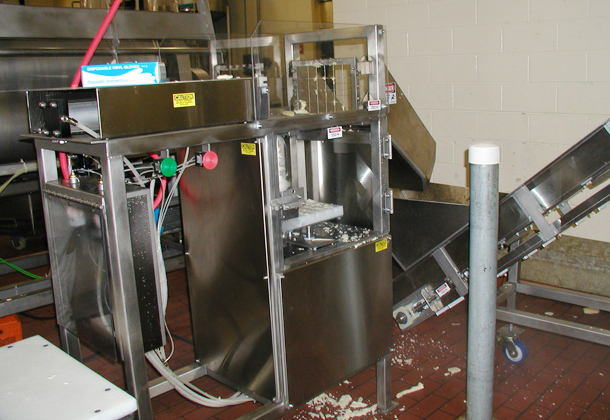 We want to help you increase your cheese line’s productivity.